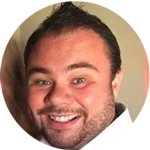 Paul Anderson is a PhD Candidate in Politics and International Relations at Canterbury Christ Church University, UK and Project Lead of 50 Shades of Federalism. He holds master degrees from the University of Glasgow and the University of Pompeu Fabra. His main research interests include territorial autonomy, secession, nationalism, conflict resolution and the UK and Spain. 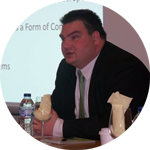 Soeren Keil is Reader in Politics and International Relations at Canterbury Christ Church University, UK. His research focuses on federalism and conflict resolution, the western Balkans and European Union politics. He is the editor and co-editor of six books, including Understanding Federalism and Federation (with Alain Gagnon and Sean Mueller), State-building and Democratization in Bosnia and Herzegovina (with Valery Perry) and The Foreign Policies of Post-Yugoslav States (with Bernhard Stahl). Since the end of the Cold War, there has been an increased use in federalism as a tool of conflict resolution. In recent years, the nature of conflict has changed, as evidenced by the proliferation of civil wars and conflicts rooted in ethnic, religious and linguistic diversity (Kaldor 2012). These ‘new wars’ have thus necessitated the development of new tools for managing and resolving ethnocultural conflicts. Federalism is one such tool, able to satisfy the aspirations and demands of both minority and majority groups: giving minority groups (limited) control over their own economic, political and social affairs, while also sustaining the territorial integrity of the extant state. As most violent conflicts are intrastate conflicts — fought between different groups within one country (rather than between different countries) — the potential of federalism to facilitate the accommodation of differences, protect minority groups, prevent territorial disintegration and maintain political stability, has rendered it one of the international community’s preferred conflict ameliorating strategies (Monteux, 2006: 164). This paper will outline why federalism has become an important tool of conflict resolution. We will begin by defining federalism and giving a brief overview of the rationale behind its use in post-conflict societies. Second, we will draw upon some concrete examples to illustrate the prominence of federalism in bringing peace and stability to war-torn countries. In the penultimate section, we will examine some of the limitations of approaching federalism as a tool of conflict resolution. The conclusion will demonstrate that further empirical and theoretical research is needed in order to fully understand the conditions in which federalism can contribute to peace-building and conflict resolution. government combining elements of shared rule and regional self-rule’. Watts, in the same vein as Preston King (1982) and Michael Burgess (2006), interprets federalism as a normative term, a philosophical and ideological principle to be differentiated from federation which denotes the ‘tangible institutional reality’ of a federal state (Burgess, 2006: 285). Moreover, Watts, following Daniel Elazar (1987), places emphasis on both the shared and self-rule elements of federations. Self-rule refers to the (territorial) autonomy granted to the regions, Länder, states, provinces or cantons. Shared-rule, on the other hand, denotes the ability of the sub-national governments to participate in, influence and make decisions at the centre. The rationale behind federalism is manifold. According to William Livingston (1956: 1), ‘federalism, like most institutional forms, is a solution of, or an attempt to solve, a certain kind of problem of political organization’. In some states, federalism is chosen as an instrument of good governance, an organising principle where sovereign polities rescind some of their sovereignty in order to pool resources and become part of a larger network. These countries, predominantly mononational states such as Australia, Germany and the USA, are, according to Alfred Stepan (1999), ‘coming together’ federations. The second category of federations put forward by Stepan is ‘holding together’ federations; the heading under which most plurinational states fall, including, inter alia, Belgium, Ethiopia, Bosnia, Iraq, and Nepal. This category also includes states that have used elements of federalism such as the provision of autonomy in order to manage pre-existing diversity (such as Spain and the United Kingdom). It is these ‘holding together’ federations, which often face ethnic conflict (and in some cases violence) and hence employ federalism as a tool of conflict resolution. Nancy Bermeo (2002) writes of the ‘peace preserving’ characteristics of federalism, underlining that it isolates conflicts, peacefully accommodates minority groups and ensures a democratic response to ethnocultural tensions. In the absence of such democratic institutions, the alternatives would be either inhumane responses such as genocide and ethnic cleansing, or secession, partition or further conflict, and as McGarry and O’Leary (2009) point out, these options serve only to further worsen ethnic tensions. As Hannum (2004: 395) points out, federalism is often considered the optimal choice in heterogeneous and post-conflict societies because it appeases both the majority and minority community. The self-rule and shared rule aspects of federalism ensure that sub-national groups have significant, and in some cases extensive, sovereign control over specific policy areas, such as language and education policy, while also ensuring that such groups are, through the shared rule mechanisms, able to influence and participate in the decision making processes at the centre. For the central government, the institutionalisation of a federal system can help curtail the secessionist demands of regional separatists. Modern history is testament to the growing challenge of secessionism in modern politics, yet the use of federalism, while it has been unsuccessful in completely removing secessionist challenges from plurinational states, has succeeded in preventing territorial disintegration. In short, the ability of federalism to divide power among different people while sustaining the external borders of the extant state make it an attractive tool of conflict resolution. In the post-Cold War era, a number of countries have adopted federal features in their constitutional frameworks in order to deal with diversity and the resulting conflicts. These include Belgium (1993), Russia (1993), Bosnia and Herzegovina (1995), Ethiopia (1995), South Africa (1996), the Former Yugoslav Republic of Macedonia (2001), Iraq (2005) and Nepal (2015), amongst others. Furthermore, ongoing debates about federalism, decentralization and the provision of territorial autonomy for certain ethnic groups in countries as diverse as Ukraine, Syria, Myanmar and Libya highlight the contemporary relevance of the federal idea. While not all of these countries have faced violent conflict, what they all have in common is deep-rooted diversity, i.e. the existence of multiple ethnic groups on the territory of the state, and a resulting need to manage this diversity that goes beyond the traditional model of liberal democracy. Hence, federalism as an idea that ensures self-rule (i.e. autonomy for territorially concentrated ethnic groups) and shared-rule (the inclusion of different ethnic groups in the decision-making processes of the country) has featured prominently as a mechanism of diversity management. What is more, the provision of autonomy has been a key demand of groups that have previously fought for independence and secession, such as the Serbs in Bosnia, the Albanians in Macedonia or the Chin and Karen in Myanmar. In some of these countries international actors (such as the UN, NATO or the EU) have played an important role in the introduction of federal institutional mechanisms. For example, Bosnia and Herzegovina has been described as a country in which federalism has been “imposed” (Keil 2013), while Iraq, too can be considered as a case in which international actors provided important input into the federal debate (Danilovich 2014). Likewise, as a result of international involvement, the arrangements for the State Union of Serbia and Montenegro (2003) and Sudan (2005) included secession provisions which delineated institutional procedures, including a specific time limit, for the constituent parts of the states to become independent. Various countries around the world have used federalism or elements of decentralisation in order to deal with ethnic conflicts. In some of these countries, the use of federalism has contributed to peace-building and brought an end to violent conflict (for example in Bosnia, South Africa, Macedonia and Nepal). In other cases, federalism has been less successful. The ongoing violence and increased competition among ethnic groups over territory and natural resources in Ethiopia, Nigeria and Iraq have intensified because of the introduction of decentralised structures that have resulted in new distribution conflicts (Erk, 2014: 546). Some federal arrangements have included secession clauses, such as in Sudan and Serbia-Montenegro. While not always a success, what ongoing debates about federalism in post-conflict societies highlight, is the strong link between the introduction of democratic governance and the potential to overcome legacies of large scale violence. The current debate in Myanmar, which resulted in a peace agreement and a commitment to the introduction of federalism in August 2016, demonstrates this point. It is an illusion to assume that federalism will be able to solve all problems in deeply divided societies, especially those that have endured violent ethnic conflict. Challenges to territorial integrity and calls for secession will not disappear despite commitments to federalism, as demonstrated in well-established democracies such as Canada, Spain and the United Kingdom as well as in new federations in post-conflict societies, including Bosnia, Ethiopia and Iraq. This is because in post-conflict countries mutual trust, willingness to cooperate and the political motivation for compromise are relatively low amongst political elites representing different ethnic groups. As Burgess (2012) has argued, the key to successful federal democracy in these countries lie in the evolution of a federal political culture. In addition, notwithstanding the commitment of federalism to deepening democratic procedures in divided societies, the consolidation of democracy has been difficult to achieve. Bosnia and Iraq are examples where federal power-sharing has been implemented, but the consolidation of democracy has hitherto been unsuccessful. Furthermore, post-war societies face additional reform needs in order to deal with the results of long-term conflict. These include dealing with reconciliation, economic reconstruction, refugee return, demilitarisation and societal reintegration. Finally, what has become evident in recent years is that in order for federal, democratic structures to take root and function in deeply divided post-conflict states, these institutional arrangements need to be flexible and be able to adapt to shifting policy demands and preferences amongst the different groups. The abovementioned time limits in Sudan and Serbia-Montenegro regarding secession, as well as asymmetrical arrangements in Iraq and Bosnia, to name only two, can be seen as examples of this need for inbuilt flexibility. Contemporary debates in Libya, Syria and Ukraine underline this need for flexible solutions in a world of ever more complex conflict; there can be no ‘one size fits all’ approach to federalism in post-conflict societies. The contemporary debates on federalism as a tool of conflict resolution have ensued from the changing pattern of conflict in the post-Cold War era. The modern world is composed of a medley of ethnoculturally diverse states and the need for recognition and inclusion of the ineradicable fact of diversity has become ever more prevalent. The ability of federalism to satisfy, at least to some extent, the demands of both minority and majority groups has increased the popularity of federalism as a method to manage diversity and competing nation-building projects within a democratic framework. Federalism has become increasingly more important in resolving violent conflicts, contributing to peace building and promoting democratic governance. However, as we have seen, federalism is not a panacea to the many intractable challenges that deeply divided, ethnically heterogeneous and post-conflict countries encounter. As federalism becomes an ever-more prominent tool of conflict resolution, it is imperative to enhance the extant theoretical and empirical research on the contemporary federal idea. The proliferation of these new federal models to deal with the complex challenges of the twenty first century, underlines the need for originality and flexibility in our approach to conflict resolution. Bermeo, N. (2002), ‘The Import of Institutions’, Journal of Democracy, 13 (2), 96-110. Burgess, M. (2012), In Search of the Federal Spirit: New Theoretical and Empirical Perspectives in Comparative Federalism. Oxford: Oxford University Press. Burgess, M. (2006), Comparative Federalism: Theory and Practice, Abingdon and New York: Routledge. Danilovich, A. (2014), Iraqi Federalism and the Kurds – Learning to Live Together, Abingdon and New York: Routledge. Elazar, D. J (1987), Exploring Federalism. Tuscaloosa: University of Alabama Press. Hannum, H. (2004), ‘Territorial Autonomy: Permanent Solution or Step towards Secession?’ in A. Wimmner, R. Goldstone, D. Horrowitz, U. Joras and C. Schetter. Facing Ethnic Conflicts: Towards a New Realism. Oxford: Rowman and Littlefield Publishers, pp. 274-283. Kaldor, M. (2012), New and Old Wars: Organised Violence in a Global Era, third edition, Cambridge: Polity. Keil, S. (2013), Multinational Federalism in Bosnia and Herzegovina, Farnham and Burlington: Ashgate. King, P. (1982), Federalism and Federation. London: Croon Helm. Livingston, W. S (1956), Federalism and Constitutional Change. Westport CT: Greenwood Press Publishers. McGarry, J and B. O’Leary (2009), ‘Must Pluri-national Federations Fail?’ Ethnopolitics, 8 (1), 2-25. Monteux, C. (2006) ‘Decentralisation: The New Delusion of Ethnic Conflict Regulation?’ International Journal on Multicultural Societies, 8 (2), 162-1825. Stepan, A. (1999), ‘Federalism and democracy: beyond the US model’, Journal of Democracy, 10 (4), 19-34. Watts, R. L (2008), Comparing Federal Systems, third edition, Kingston and Montreal: McGill-Queen’s University Press. Anderson, L. (2013), Federal Solutions to Ethnic Problems: Accommodating Diversity. Oxon and New York: Routledge. Brancati, D. (2009), Peace by Design. Managing Intrastate Conflict through Decentralization, Oxford: Oxford University Press. Burgess, M. (2012), In Search of the Federal Spirit – New Theoretical and Empirical Perspectives in Comparative Federalism, Oxford and New York: Oxford University Press. Burgess, M. and J. Pinder (Eds.) (2007), Multinational Federations. Abingdon and New York: Routledge. Keil, S. and P. Anderson (2018), ‘Decentralization as a Tool of Conflict Resolution’ in K. Detterbeck and E. Hepburn (eds.) Handbook of Territorial Politics. Cheltenham: Edward Elgar.